Sometimes the world is prettier seen from the sky. 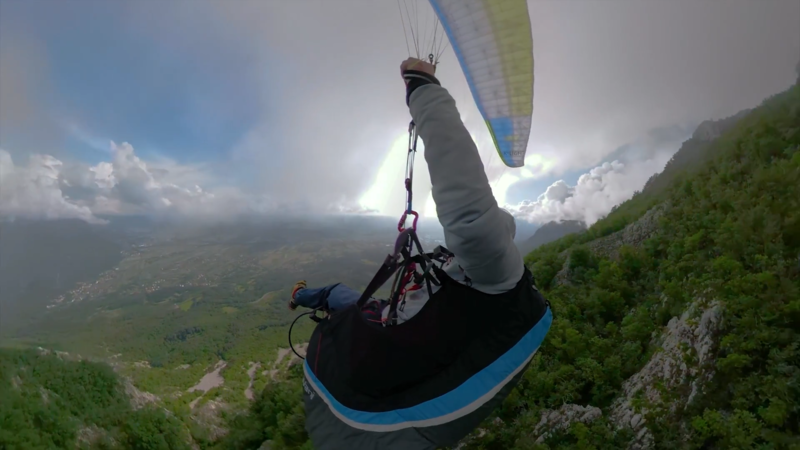 Can you imagine what it would be like to paraglide through the skies of Europe? Paragliding for the first time has to be at least exciting. So put on the harness and take the controls: we’re going to sail the skies. Neither fear nor nerves. You just want to enjoy the experience. More than 50 years have passed since the first paragliding flight with a ship’s sail. Technology has advanced by leaps and bounds since then and has allowed pilots to perform maneuvers as difficult as the ‘infinity tumble’. Who would have thought 50 years ago that today people could record their own flight? The experience is worth it. It is amazing to float across the sky, and even better if you can see other people floating in the air as if they were feathers. A true luxury, recommended for anyone, regardless of age. And that the flight is short is almost better, because so for the next occasion, aware of what you expect, you can enjoy and taste more. Because there will be next time. I have no doubt that this activity can become addictive. Definitely. There is always a first time to do paragliding, and there is always a first time to record your flight. So if you already wrote down the list of those things that you can not stop doing in life, at least once, it’s time to launch into the adventure and plan like the birds while watching one of the most beautiful cities in the world, It is one more reason to know that you have made the right decision. 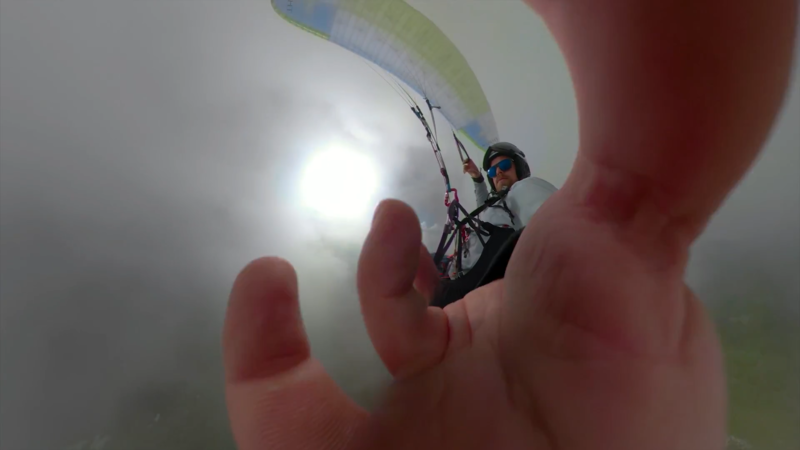 If this is the first time you are going to record the flight, do not get too distracted with the camera, remember to keep alert and in constant contact with the paraglider. 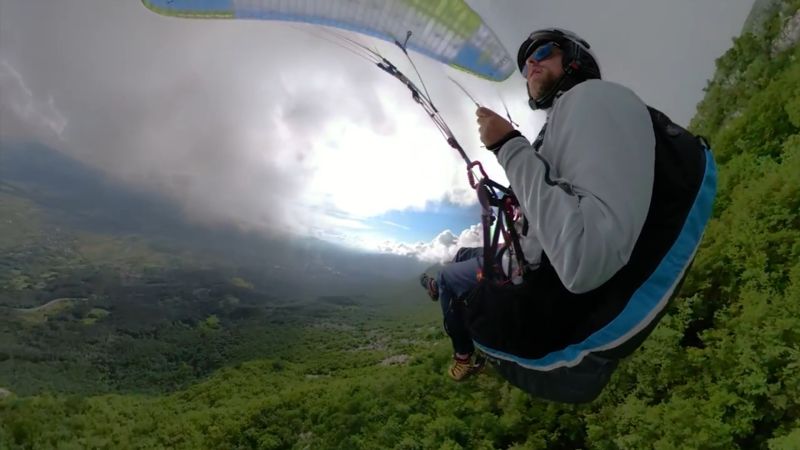 During the flight you can contemplate the splendid bird’s-eye nature and the best thing is that at the end, you will have a video that will allow you to relive the experience, and evaluate your performance with objectivity. 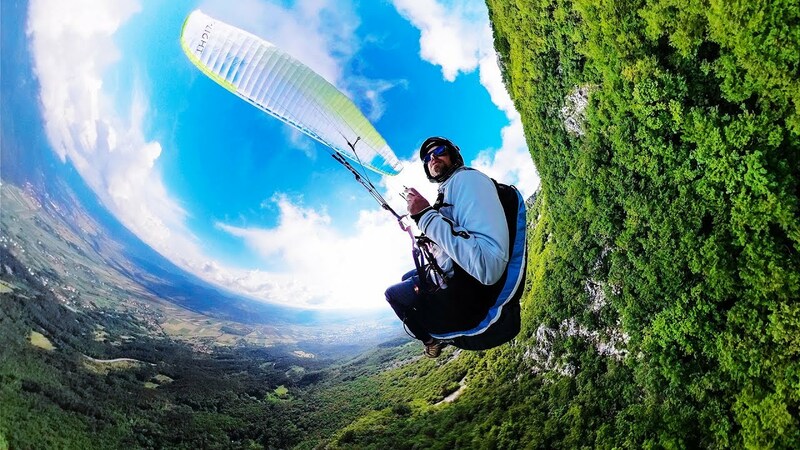 So if you are looking for a new experience and you want to enjoy every moment during the flight, it is time to take your camera and become the director of your own paragliding movie. You will be able to document your experience from the beginning of your adventure until the end of the flight. Experience shows that after flying for the first time you will see the elements of the sky and the wind with different eyes, you will understand them better and it is very likely that after recording it on video for the first time, you will notice things you never imagined. But, if you have never flown in paragliding and you want to try it, but you are afraid, the simplest thing is to make a flight in a two-seater paraglider, with a qualified pilot. The two-seater is a paraglider designed to carry the weight of two people, the pilot and the passenger, without the need for the passenger to have any prior knowledge of this form of flight. This way, you will avoid distracting yourself with the camera, at least while you get used to it. The takeoff is carried out as in a normal paraglider and the pilot takes care of it, the passenger must only follow some simple instructions, take some steps and let himself be lifted by the paraglider, generally with all gentleness. Once in the air you will comfortably sit in the harness until you touch the ground again. If you have not yet recorded your first flight, I recommend it. If you like the video please comment it and share it and subscribe if you have not done so yet. There is always a first time to do paragliding, and there is always a first time to record your flight. So if you already wrote down the list of those things that you can not stop doing in life, at least once, it's time to launch into the adventure and plan like the birds while watching one of the most beautiful cities in the world, It is one more reason to know that you have made the right decision.